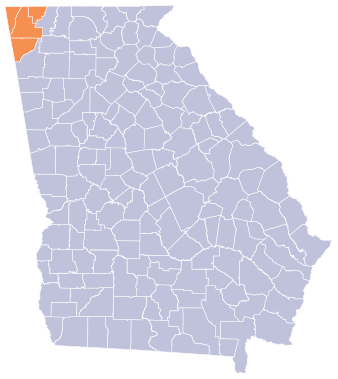 For Northwest Georgia to be successful, local economic development initiatives must effectively leverage the resources of their surrounding region and state. The Northwest Georgia Joint Development Authority must continue to forge strong alliances among Catoosa, Chattooga, Dade and Walker counties and its state economic development marketing partners. to communicate regularly with its Shareholders to keep them informed of their progress in implementing each of these economic development strategies and to maintain the highest level of corporate relations among their business and industry partners. In addition, the Northwest Georgia Joint Development Authority will continue to provide critical information for development proposals specific to targeted industries and our regional prospects. This economic development initiative will enable the Northwest Georgia Joint Development Authority to better communicate the excellent quality of life available in our region to all who are considering relocating to the Southeast. Provide the highest level of accountability and professional communication to Shareholders. Keep Shareholders informed of the progress of this extraordinary program through newsletters, email alerts and other forms of communication. Host an annual meeting of Shareholders highlighting and reviewing the goals and results of the initiative and the organization. Create quarterly business gatherings in the four-county area, meeting in a different county each quarter. Provide Shareholders with important information on the local economy that can benefit their companies through a monthly e-newsletter and a quarterly publication that features new business openings, expansions, pictures of NWGAJDA business events and letters from the Chairman and Executive Director of the Joint Development Authority.